This summer, more than 50,000 students from all walks of life attended iD Tech. One student, Riley, came to us via the Make-A-Wish Foundation. “He chose something academic, can you believe that?” Riley’s mom, Rachael, says. “Originally he wanted to do something for the family, but we asked him to do something just for him." Such selflessness and strength are typical for Riley. Throughout his treatments for Synovial Cell Sarcoma over a 96-day timeframe, which at one point reduced him to only one functioning lung, Riley stayed powerful and calm. This optimism carried him through the waiting period before his parents were able to tell him his Wish had been granted—he was going to attend iD Tech. Riley had done some research into tech camps and discovered iD Tech. 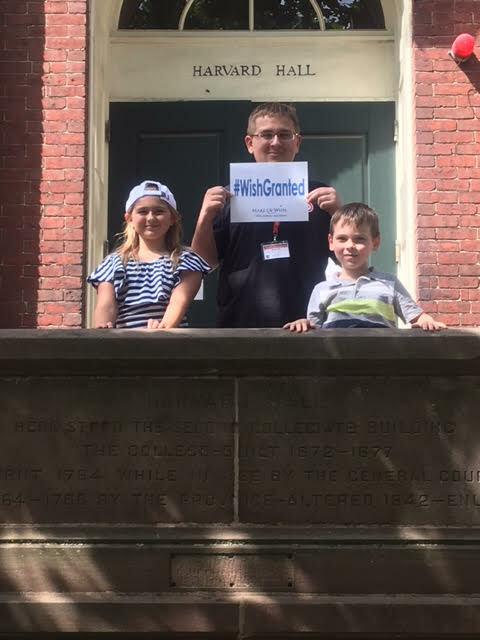 Angela, his Wish Granter, contacted us to make it happen, and we were more than delighted to welcome this astounding young man to camp. The process was effortless and smooth. 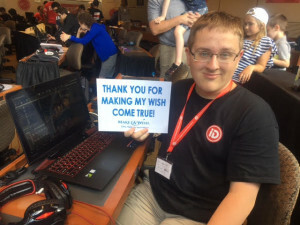 The week of July 16th, Riley attended the iD Game Design & Development Academy held at Harvard University. He enrolled in Game Design & Development Studios 10, a two-week course where he studied Autodesk Maya and Unreal Engine 4, two industry-standard tools in the world of video game development. Riley spent his two weeks developing a platformer game where the player collects a pickup (an item in-game, like a weapon or a health pack) and shoots a target. 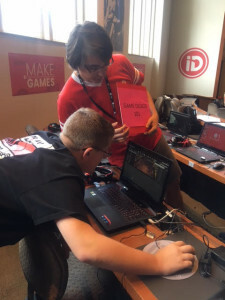 When not designing his game, Riley got a chance to explore Harvard’s campus, make friends and take part in the activities built into the Academy’s two-week curriculum. iD Tech’s CEO, Pete Ingram-Cauchi, got to meet Riley during his session. Right now, Riley is without active disease. “You can’t let anything take you,” he says. Check out more of our Success Stories! With more than 275,000 alumni, we're endlessly proud of every single one of our campers.